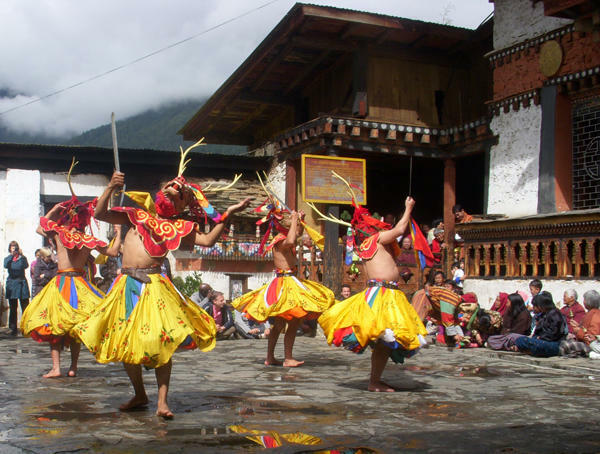 Nestled into the lofty Himalayan Mountains between Tibet and India, the Kingdom of Bhutan — “Land of the Thunder Dragon” — is one of the most exotic destinations and one of the most intriguing countries in the world today — a unique place that few outsiders have had the privilege of visiting. In this mystical and mountainous land of deities and demons, awaiting us are ethereal fortress-monasteries, red-robed monks, and a thriving Buddhist culture. The king decrees “Gross National Happiness” (GNH) as the standard by which to measure the country’s wealth. 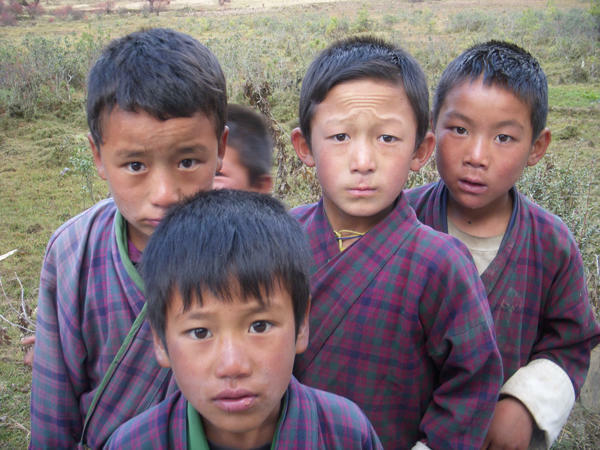 For centuries Bhutan followed a policy of self-imposed isolation. Only in the second half of the 20th century did this amazingly beautiful “Shangri-La” open its doors to the world, throwing off its veil of mystery. The Bhutanese government pursues a very cautious and controlled approach to tourism development, as they are extremely keen to safeguard this tiny country’s environment and its amazingly rich, carefully preserved cultural heritage. The effort involved in visiting this unique country is well worth it for the trip of a lifetime — an unforgettable experience of a sacred land and its people. 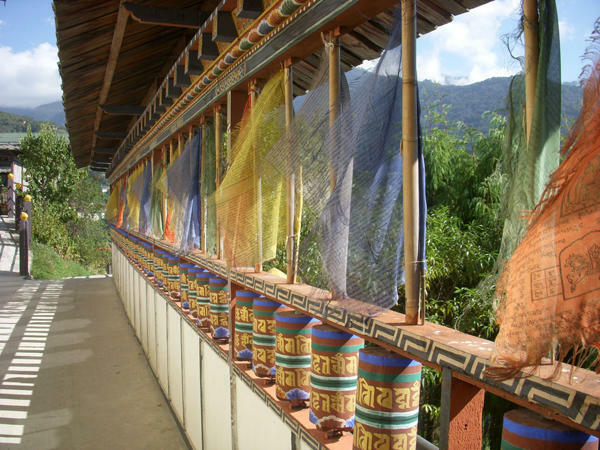 Bhutanese art and craft, inevitably religious in character, include textile weaving, wood and slate carving, painting, blacksmithing, and pottery, all of which have elaborate techniques passed on through successive generations. 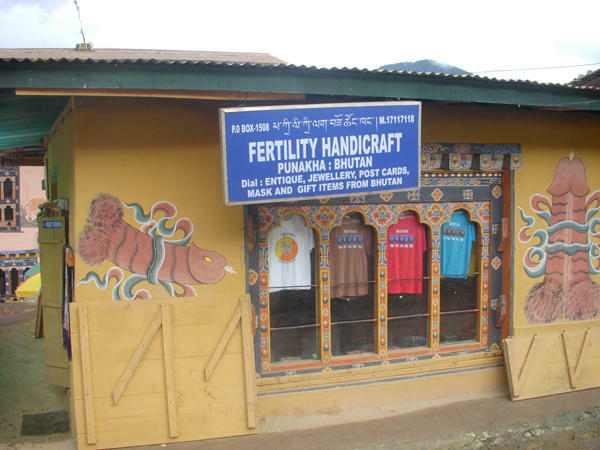 The Bhutanese people and their government are also fiercely conservative of their natural heritage. Small wonder then that 72 percent of the total land area is still covered in deep forests. Yaks, Takin (the national animal), and some rare butterfly and bird species abound, as do wild rhododendron, bamboo, and blue pine forests. 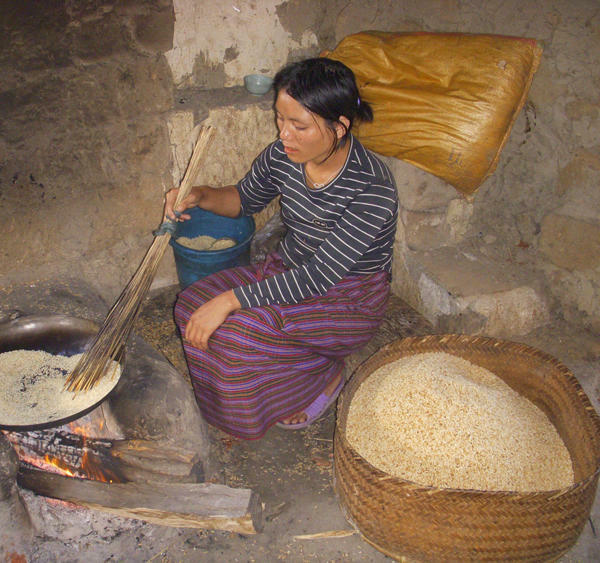 Thanks to our network of local contacts in Bhutan we may find ourselves visiting the workplace or dining in the home of local residents or perhaps having a special guest join us for a meal. 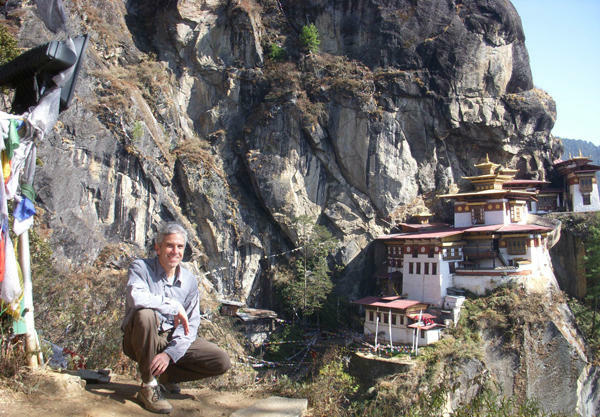 Our Tour Leader in Bhutan is an American who has made nearly 20 visits to this fascinating country in the past half-dozen years — having led numerous tour groups there. 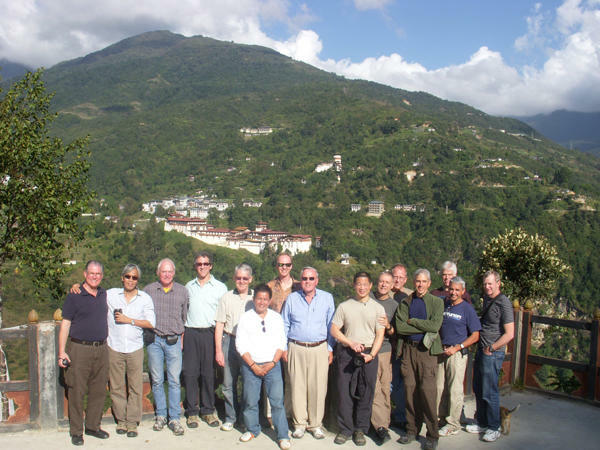 His love of the country and culture is infectious, and owing to his extensive experience we’re able to offer a unique program in which our guests can enjoy a much more intimate experience of Bhutan than that provided by other tour operators by way of a good network of local contacts — including some who are gay and can provide insight into gay life in Bhutan. On our tour we’ll be able to meet local friends and contacts in workplace settings and/or private homes. Accompanying him will be one of Bhutan’s most experienced local guides — an energetic and charismatic man who is full of information, patience, and humility. In the company of these two remarkable men your Bhutan tour will be comfortable, fascinating, and memorable! 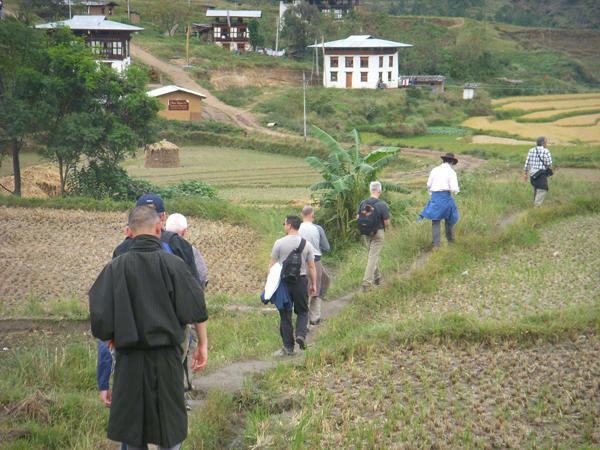 Some photos from our previous tour in Bhutan . . .